I can tell you how much you love God by one question; how often do you read the Bible? 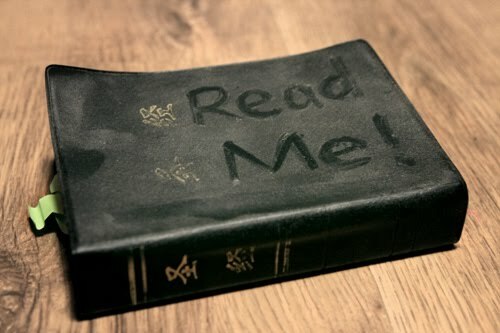 Because of this its impossible to say that you love, believe, and have faith in God if you haven't touched your Bible in weeks-Your own actions prove you don't. There are many things that I could say that we need to cut out of our lives to make more time for the Word, but that would be a waste of breath because we all know frivolous things we engage in every day that have no purpose or importance. If we as a generation could ever get to the point where we replace the vain things in our life with something that will have ramifications for all eternity, we would be unstoppable. If you have ever felt like there is something missing in your life, and you don't know what it is, I have an answer. If you will pray an hour every day and read your Bible, you'll find what you have been searching for. Just because you call yourself a child of God, doesn't mean that God calls you His. You must know God, but more importantly God must know you. How will He truly call you a good and faithful servant if you have been neither good or faithful? I promise, if you get into the Word and pray every day, you will look back and thank the good Lord you did!